This postcard shows a filling station in Oberlin, Kansas. 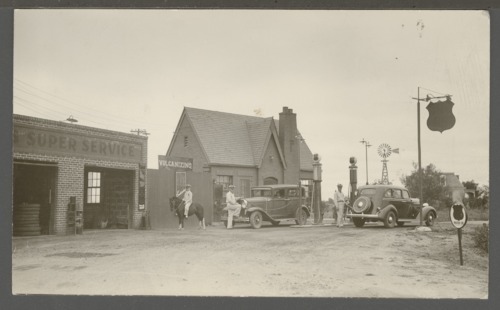 Fred Walton is standing in front of the car, Lyle Walton is pumping gas, and the person on the horse is unidentified. The Walton's home is in the background on the right.